Natural Born Storytellers began in Camden Town, London, travelled the UK with sell-out events and has now found it's way to New Zealand! We are very excited to be collaborating with the founders to develop our very own kiwi-Christchurch version. The idea behind Natural Born Storytellers is that everyone has a story to tell, so come and tell it. We are creating a fun, supportive and welcoming space for anyone – and that means absolutely anyone, no experience needed – to tell true stories. They may be funny, sad, touching or terrible! We want to hear them. Each night is themed with prepared storytellers, combined with stories from the audience. Get in touch with Sharon if you have a story you’d like to share! Support to create it is available. Next gathering: Friday 26 February, 2016. 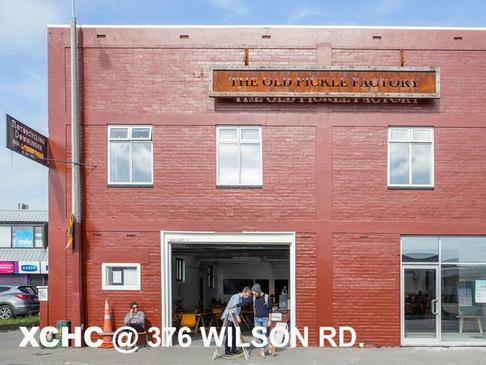 Here is the building for New Zealand's first Natural Born Storytellers!